Kochi is the latest place I’ve visited on my worldly travel adventures. After spending a few days in the area I felt equal measures of awe and heartbreak. The wonderment was discovering a fascinating new part of the world, a place that appealed to my sense of adventure just as much as its food appealed to my taste buds! The heartbreak was knowing I didn’t have enough time to do or eat eat everything in sight! But the more I discussed Kochi with other travelers, locals and expats, the more I realized this place isn’t even on the radar for most people. Most travelers rarely stray from to the well-trodden tourist trail of Tokyo, Kyoto and a couple other places along Japan's "Golden Route." In the hopes of persuading you to get away from the bigger cities and explore rural areas, I’ve crafted this guide to Kochi, Japan. So let's go! The first question we need answer is where exactly is Kochi? Kochi Prefecture spans almost the entire southeast side of the small Japanese island of Shikoku, to the south of the main island of Honshu. It's actually the largest of the four prefectures found on the island, and the least populous. It's known for its natural beauty, which includes sweeping mountains and an expansive coastline with plenty of beautiful beaches. Before heading to Kochi, I highly recommend you spend a few days in Tokyo, since there are so many cool things to do there! Kochi is actually only a one and a half hour flight from Tokyo, which makes an easy and convenient destination, and leaves you without an excuse to not visit! 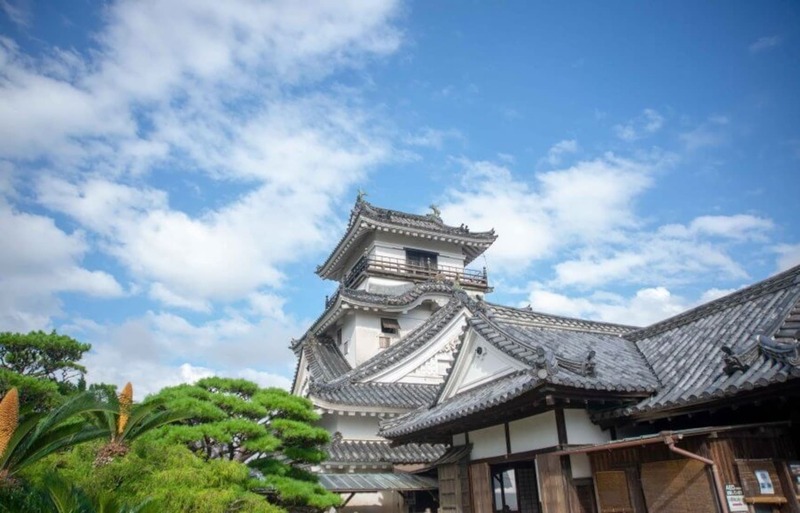 Kochi is also very close to Kyoto and Okayama, which means it's a great stop if you want to explore the area further. It's worth noting that there are highway buses to Kochi, as well as local trains from other prefectures in Shikoku, but no direct bullet train line. Although the buses will be a little cheaper, the quickest and easiest way to get there is by plane! What Makes Kochi So Special? Kochi is a little different from other areas of Japan for a few reasons. Kochi offers lush forests, tall mountains, cultural experiences, epic adventures and mouthwatering food. Last (but certainly not least), it also has some incredible sake, with time-honored brewing traditions. Although it's remote, Kochi is a place that combines some of the best reasons to visit Japan in a single location! How cool is that? As I mentioned earlier, Kochi isn't a major hot spot for western tourists yet. Now, I know a lot of people worry about language barriers when heading off the beaten path, but I personally think that's part of the fun. Although they're rare when compared to more populous areas like Tokyo, there are TEFL teachers and various other expats in the area, and tour guides who can speak both English and Japanese in the event that you're less comfortable traveling on your own. Another fun perk is that when traveling in Kochi, you're venturing into a rural area where you can discover villages populated with locals who aren’t used to tourists, and will treat you a little bit like a rockstar! Onto one of my favorite reasons to travel—food! Food in Japan is carefully handled, and each dish is treated with the respect it deserves. All this TLC really shines through, especially when it comes to the almost grandiose presentation and unbelievably fresh taste. I can honestly say that I have never had a bad meal in Japan, but Kochi now wears the crown as the home of some of my new favorite dishes. Without a doubt, the best thing to eat in Kochi is the katsuo tataki! This mouthwatering fish (also known as bonito) is the region’s speciality. While it is sometimes served as sashimi, the preferred way to eat is as tataki—sliced, skewered and lightly seared. There are different regional ways to enjoy it, but sometimes simple is best. The sear gives it an incredible smokey taste, and garnishing with some salt, pepper and a squeeze of lemon is more than enough to take it to the top! I ate katsuo almost every meal over the course of four days, and the variety of preparations meant it never wore out its welcome! Now that we've covered a little bit of why you should visit Kochi, let's discover some of the best ways to fill an itinerary while visiting! Because as a bonus at the end, they also provide tastings, where visitors can enjoy several different types of their meticulously and elegantly crafted wares. My visit to the Nishioka Shuzoten brewery ended with a tasting comprised of seven different types of sake, and by the end, I left with a huge smile and a slight stumble. There are also many bars, like Tosashu Bar, that offer a range of different types of sake flights. This lets you mix and match sake from all over Japan to compare with those offered in the region. Kochi is definitely a haven for sake lovers like me. Kochi has some great food markets that are filled with friendly locals, souvenirs and new foods to try! There are two in particular that are a must when visiting Kochi. First up is the Kure Taisho Town Market. This market is famous among Japanese travelers, and has been supporting the local community for over 100 years. It offers a range of cool shops, different foods, fresh fish and other souvenirs. Personally, it is my new favorite market in Japan, in part because they peddle lots of delicious katsuo. The fact that an awesome sake brewery is just around the corner is just an added bonus! Then there's the Hirome Market, filled with stalls and a dining area that buzzes with a unique energy. This market is addictive, and if I lived in Kochi would quickly become my go-to hotspot for hanging out and trying new foods. It's a great place to meet people, have a drink, and snack on delicious seafood like katsuo, jellyfish or eel. If you're not a fan of seafood, there are other options, but my general rule for Japan is to eat all the seafood I can get my grubby little hands on! The fact that it's fairly centrally located and basically nextdoor to the castle is also awesome! With so much abundant nature around, Kochi is a great destination for outdoorsy types. Small roads at the base of the mountains follow along (and sometimes go over) the powerful rivers, creating a sense of harmony. These roads entice and challenge bikers. Imagine a beautiful scenic view of a gushing river on one side and a towering forested mountain right above you. As you bike through the ridge roads, you will come along epic vistas, charming villages and much more. Plus, you can rent bikes from many stations throughout the area! While this isn't something I had the opportunity to enjoy (a powerful typhoon rolled in shortly after I arrived), it's definitely something that pumped me up! There are many winding rivers that cut through the mountains in the region, and some intense rapids to boot. This will definitely be at the top of my list when I come back! Due to the previously mentioned typhoon, I actually had a really unique opportunity—I spent the afternoon with a Japanese bladesmith, working on my very own knife! It was fun, exhausting and probably a little dangerous, which are all qualities necessary for an excellent adventure. Under the careful eye of the master artisan, I worked the forge and hammered out my own blade, which I then got to inscribe. Since it's something I couldn't take home with me on the flight, we arranged to have it sent by post to my address in the U.S. It was a great way to get in touch with the region's traditional crafts, and is an awesome souvenir! Shikoku has a very famous pilgrimage, the Shikoku Henro. As the story goes, a renowned Buddhist monk traveled the island and set up 88 temples over 1,200 years ago. The pilgrimage to the 88 temples is a sacred journey that is still practiced to this day, and 16 of the 88 temples along the route can be found in Kochi Prefecture. Believe it or not, Kochi Castle was the first Japanese castle I'd ever seen, and I was extremely impressed. Although the castle was originally built in 1603, it was burned down in a massive fire and reconstructed in 1749. It's been very well preserved ever since, and has been designated an Important Cultural Property by the Japanese government. It's an impressive cliffside structure with hidden rooms, a sweeping tower and tons of history. Definitely worth a visit, regardless of whether or not you're a history buff! And this is just the tip of the iceberg! Overall, Kochi is an incredible place to visit in Japan. It is a prefecture I am yearning to get back to, not just for the food, landscape and sake, but also for the people who made my time memorable. I highly suggest getting off the regular tourist trail and exploring this untouched and rural area of Japan. 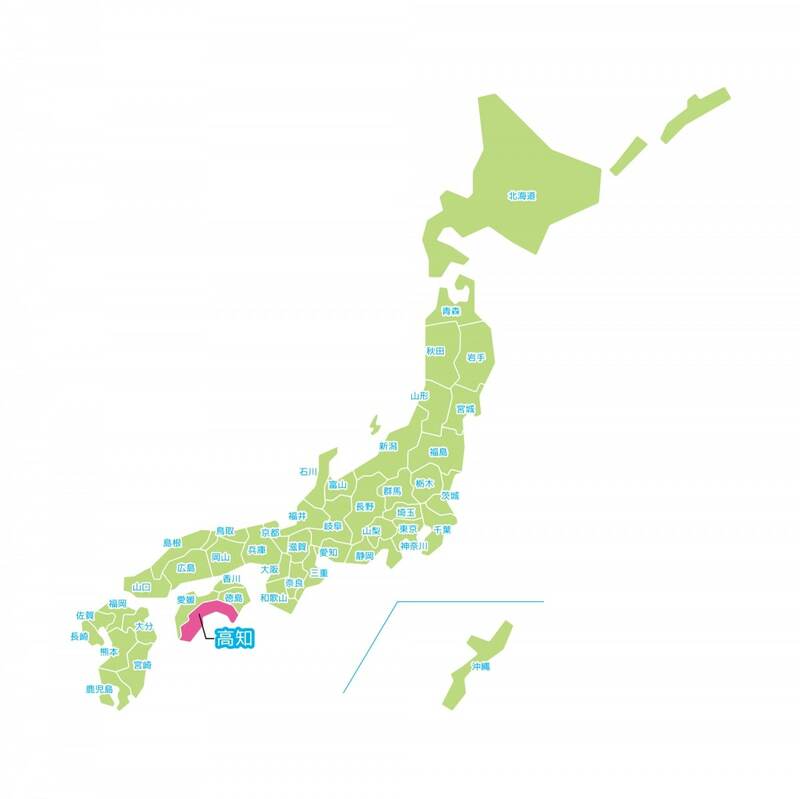 You can learn more about Kochi Prefecture at their official tourism website. Article and photos provided by Stephen Schreck. Get more awesome travel tips from his website, A Backpacker's Tale. This Hot Spring Is in a Dungeon? !